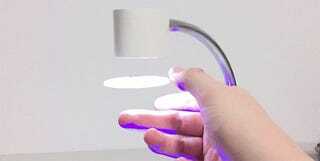 There’s no shortage of fancy lamps on crowdfunding sites like Kickstarter, but the Lunaluxx looks like it truly brings something unique and innovative to the table, or your desk, or your bedside table. 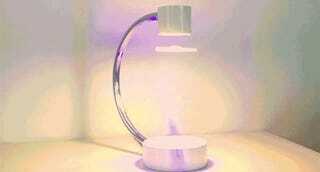 It uses a small floating disk that glows brilliantly when hit with an invisible blue LED from underneath. It sounds like witchcraft, but the Lunaluxx works using good old science that just seems like magic. That floating disc, held in place by a pair of strong but distanced magnets, contains phosphor that glows with a warm bright white light when hit from below with a blue LED.